The twentieth century rise of the automobile collided head on with Victorian prescriptions for the proper role and place of women in society. Gender conventions cast women as too weak, dependent and flighty to manage the fiery motorised beast. 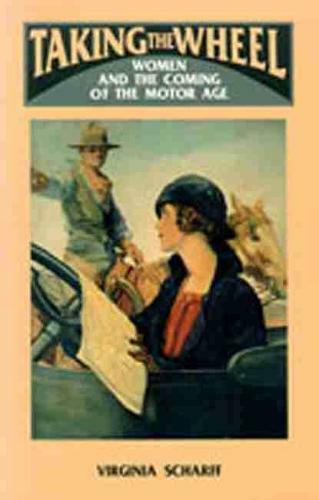 Overcoming the stereotypes was as difficult for women as gaining access to the vote, the professions, and education, yet their personal feats of driving in both war and peace demolished the gender barriers against their taking to the road. After women proved once and for all they could drive under the worst conditions in World War I, they adapted the automobile to their domestic roles in urban society during the 1920s. Written with flair and verve, this volume displays Scharff's erudition in social, cultural, gender, and technological history. "If I had my way, I'd make Scharff's book compulsory reading for every Detroit executive." If I had my way, Id make Scharffs book compulsory reading for every Detroit executive. Ms. Scharff is to be congratulated for her spellbinding contribution to the evolving literature of automotive anthropology. "Ms. Scharff is to be congratulated for her spellbinding contribution to the evolving literature of automotive anthropology."